Josie only had the gun to frighten Curtis Rook, but his son disturbed her. One startled reflex and now he's dead. Josie flees to Poland leaving her boyfriend Snaz to take the rap. 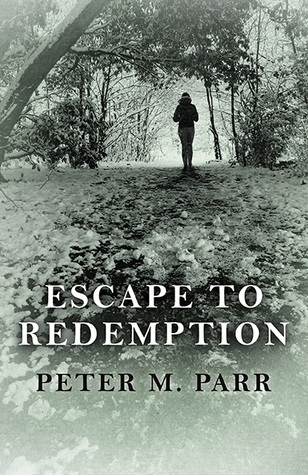 A reformed criminal offers her refuge from the police and the chance to begin a new life, but she cannot hide from her guilt. As the stakes rise, Josie begins to realise that only her own forgiveness can set her free. Can't help but love people stories especially when it comes to finding oneself after horrible events. This story not only follows Josie, but Snaz her "boyfriend". I put that in quotations, because he calls himself her boyfriend, she called him her friend and used him. Not really a shining relationship here. Josie finds out a haunting secret about Rook and his connection to her mom's death, so she decides to force Snaz to help her scare Rook. Sadly, it ends in blood and running from the law. Now...Josie...GAH I hated her face. She was such a horrible person especially before that night. She used boys to her advantage, she was nasty to her family, and she was selfish. Yes, I understand that she blames her dad for her mom's death, her stepmother was never really nice to her, and her brother turned on her. I get it, but she certainly didn't help. At the end she really did turn around and I respect her, but the beginning and middle I wanted to kick her. Poor Snaz and poor Pete....they were so used by Josie for her own selfish needs and desires. Especially Snaz. She used his feelings for her to force him into going with her and getting a gun. Yes, he should have been the bigger person and not let love/lust cloud his moral judgement, but you can't help who you love. I really liked this story. It felt like a soap opera at parts, but it felt SO realistic in others. I can't help wondering what I would do in certain situations. If I accidentally killed someone what would I think and feel? It's easy to reprimand Josie for running from the law, but we haven't been in that situation. Panic sets in and you bolt. It falls into the fight vs flight mentality. I'm sure I might run. IDK I would like to say I would own up to my crimes and take the punishments, but I really don't know. I think that is what I really liked about this book...it truly makes you think and connect with the characters even the nasty, selfish ones like Josie. Yes, I hated her. She made up for it, but still. This was a good book and I highly recommend it if you do like stories about people, forgiveness, growth, guilt, and redemption. The story had moments of soap operaness, but the rest was super realistic. It made me feel feelings and it made me think. I call that a win. ;D I shall stamp this with 5 stars. I'm glad you enjoyed 'Escape To Redemption' so much! Thanks for taking part in the tour! Teddy, thanks for adding me! I certainly liked it.